The most stunning home in the exclusive guard-gated community of Gables Estates. Premiere 255 ft of water frontage w/ 160 ft dock situated on the widest part of the canal just few a seconds from the bay w/ direct ocean access. Extraordinary 2017 home w/ fabulous views of garden & waterway will exceed your expectations of a unique lifestyle allowing natural light to radiates throughout every room. 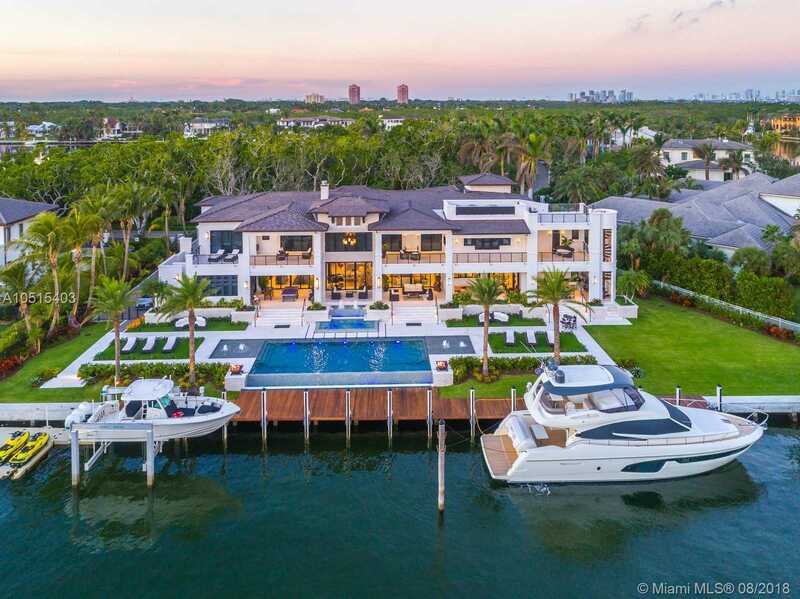 Features: impressive master suite w/ sitting area overlooking the water & enormous marble bathroom spa style w/ outdoor summer shower, 14 seats estate of the art theater room w/ optic ceiling lighting, game room w/ wet bar & wine cellar. Outdoor entertainment area w/ summer kitchen & Teppanaki table, covered terraces, rooftop deck, and infinity edge xD; xA;heated pool w/ fire bowls & fountains. Please, send me more information on this property: MLS# A10515403 – $29,900,000 – 90 Leucadendra Dr, Coral Gables, FL 33156.